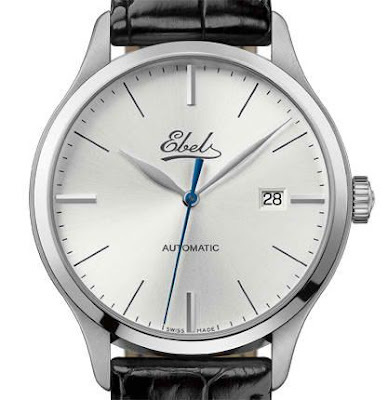 If you like your watches, refined, elegant and clean, the newly launched Ebel Classic 100 is for you. Ebel celebrates 100 years as a watchmaker, and the Ebel Classic 100 is issued in a limited series of 1911 pieces. This elegant and understated 40mm stainless steel watch has been designed to reflect a distinguished past and to be entirely in tune with current minimalistic trends. 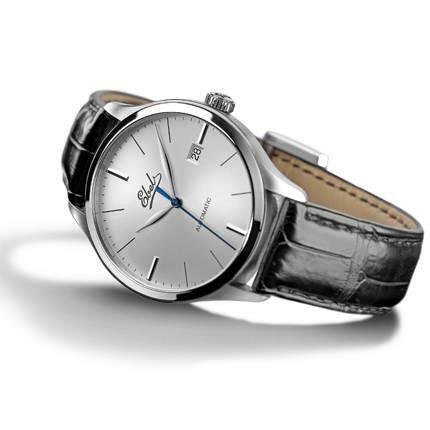 The classic round shape of the case is matched by a dial distinguished by its restraint. The leaf-shaped hour and minute hands glide over a pure silvered backdrop, with a distinctive blue sweep-seconds hand. Four applied baton-shaped hour-markers provide spatial points of reference, while the date appears in its traditional place at 3 o’clock. The original signature logo from 1911 sets the seal on one hundred years of excellence. The case-back bears the words 'Classic 100'. Water resistant to 5ATM with anti-reflective sapphire crystal on both sides of the lens, the watch comes complete wih an elegant black alligator strap.